As I finished a treatment last week and I was writing the ingredients of the formula on a label, I said to myself “frankincense’, “frank – incense”. Frank, incense. The scent of truth. I had an immediate understanding of the entire universe all at once. 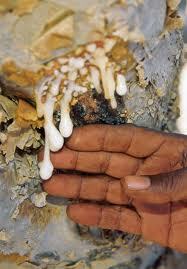 It’s also know as oilbanum referring to the process of “milking” the tree for the resin. There are many romantic stories of old about this resin and oil, and it is also linked to to the First and Second Temples of Jerusalem where it was used as a temple offering and incense. It’s an unusual looking tree, and it is tapped for the resin, which is then steam distilled into an essential oil. The resin droplets that emerge from the tree are called “tears”. The myrrh tree actually looks quite similar. You can buy the resin to burn on charcoal too, and it emits a scented smoke that is entrancing to say the least. 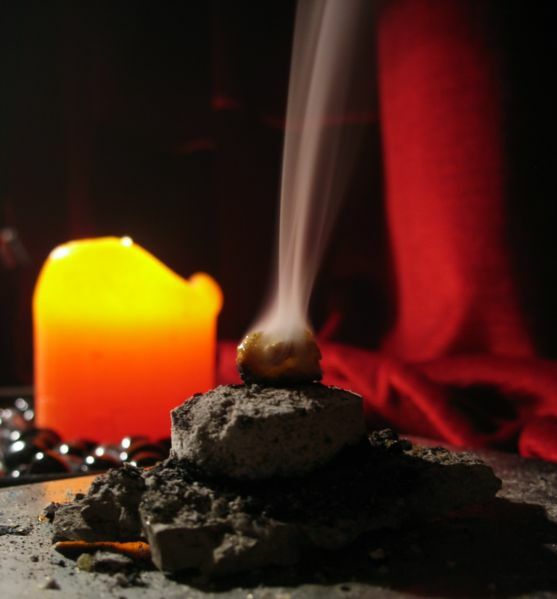 Frankincense is the oil of breathing deeply and slowly. When you click into a rhythm of deep breathing it not only relaxes you, but also invokes a state of peacefulness and calm – just like when you meditate. Is it any wonder that churches use this resin? It is employed in the church to entrance the congregation into a type of meditation or trance, to access God and higher energies. When we connect with our spirit, we are seeing the truth in all things. We are connecting with the everything else in the universe at the same time – the oneness of all things. This is the truth. This is honesty. When we are being honest with ourselves we are being “frank” and open. 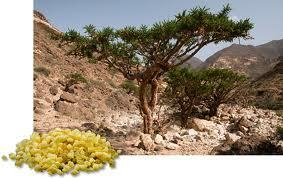 Frankincense has also been used to heal wounds by promoting cell growth and this also makes its a great facial oil. Most aromatherapy book will say that Frankincense is wonderful for wrinkled mature skin to help reduce signs of aging so I often use this in a face mask or add it to rosehip oil for a daily face moisturiser. In a bowl put 3 drops of Frankincense then fill with boiling water and inhale through your mouth (cover yourself and the bowl with a towel). In a couple of teaspoons of clay (any colour of your choice) add 3 drops of Frankincense and a little floral water (or just plain water) to form a smooth paste to apply all over you face and neck. Rest for 15 minutes then rinse off. Beautiful! You look 10 years younger already! Seekers of the truth – this oil is for you! Remember to treat yourself first then everyone will benefit. This entry was posted in Essential oil recipes, Essential OIls, Essential oils & The Evolution of Human Consciousness, Good things come from this and tagged aromatherapy, cinnamon essential oil, clay face mask recipe, consciousness, essence of truth, essential oils, essential oils for meditation, essential oils of the Bible, essential oils to breathe easy, esssential oils from the Middle East, evolution of human consciousness, facial oil, frankincense essential oil, lavender essential oil, myrrh tree, natural scents, nourishing aromatherapy body oil, resin, rosehip oil, scent, scent your space by suzannerbanks. Bookmark the permalink.